[News] Our Daydream View is on order! 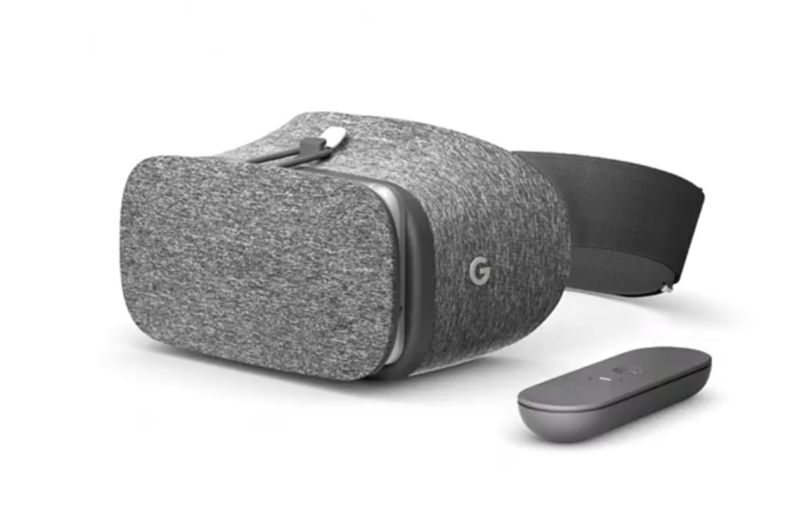 One of the perks of a Pixel pre-order was the promise of a free goodie – the new Daydream View VR headset coming straight from Google. The initial guesstimate was that the codes would go out about 4 weeks after the device shipped (to avoid people getting the freebie and still returning their Pixel device) and since that window has elapsed, codes are starting to show up in email inboxes everywhere. Including ours at Silicon Theory! So – coming soon, we’ll give it a real world test and let you know our thoughts and a full review. In the meantime, if you’re curious about VR and all its promise for the future, check out this article on whether VR is here to stay or is just a fad of our modern times. As was mentioned last week, one of the big events in tech last week was the long anticipated refresh of Apple’s MacBook Pro lineup, and in much the same way as the iPhone 7 launch was met with some pushback (mostly due to the removal of the 3.5mm headphone jack) the new MacBook Pro has been met with some criticism. Why that is encompasses a bigger topic, which I’ll explore in this article. So let’s discuss; shall we? Much was made about how long it had been since a MacBook Pro refresh. And probably with good reason; many professionals in a variety of disciplines (photography, graphics designers, web developers, and audio producers to name just a few) rely on their MacBook Pro (MBP) devices to get real work done every day. That that only encompasses the so-called professionals, and not the giant swath of folks that just prefer to use the MBP line (and also the previous generation MacBook Air) because of the design and cool factor, like college students and less technical professionals like law firms, writers/authors, and people in the entertainment industry. Apple has sold tens of millions of these mobile computers over the last decade, and is/was poised to do so for the foreseeable future. So when the highly anticipated day of the Apple event arrived, some were left with more questions than answers at its end. For some context, let’s go back a little bit further (before the day of Apple’s event) and revisit what could potentially have been the catalyst for some of the things we saw at the event – the launch of the new 12″ MacBook. 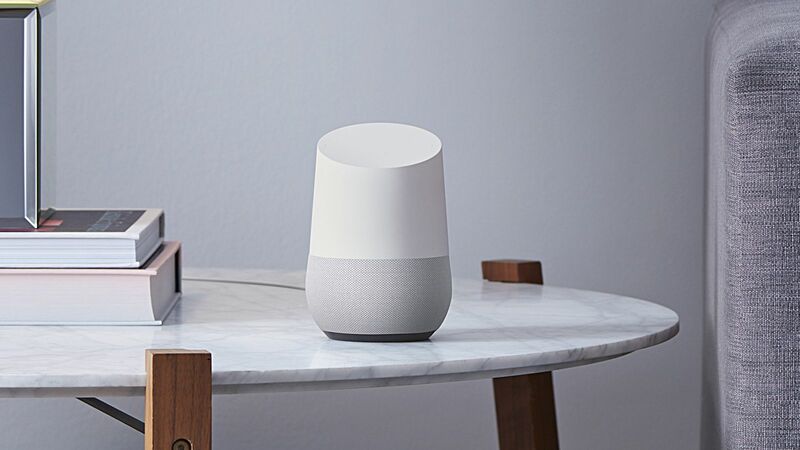 This marvel of mobile technology packs a 12″ retina quality display in a 2lb chassis that claims to deliver as much as 10 hours of battery life. Its a mind-bindingly insane 13.1mm thick (thin?) and takes the term “ultra-portable” to a whole level. How does it do all of this? By employing a completely overhauled keyboard, shearing away all that isn’t necessary in Apple’s mind, and relying upon the new USB-Type C standard for its charging and data connection needs. 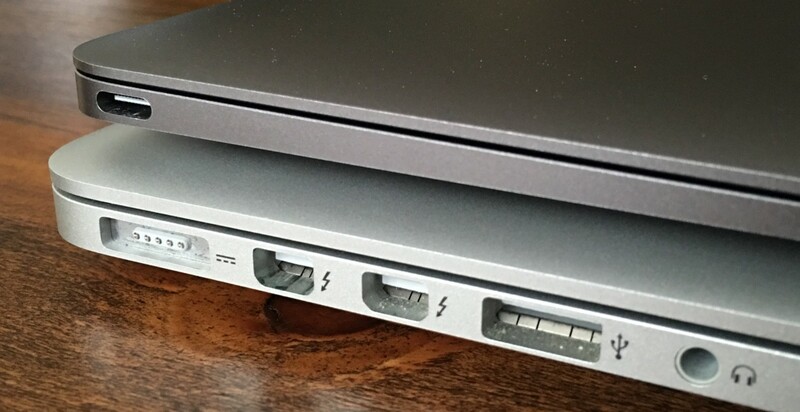 In fact, the MacBook is the definition of “co-dependent” on USB-Type C as it sports only a single one of these type of connectors. Wireless technologies (including Bluetooth and WiFi) are of course supported, and between a combination of those 2 types of connections, the MacBook exists in a singular space all its own. For the ounce counting traveler, or those who don’t want a 13 or 15″ display device, the MacBook has got you covered. There are trade offs in processor speed and just raw computing power of course as well, but if you need that to begin with, you are probably going to stepping up to the MacBook Pro regardless. 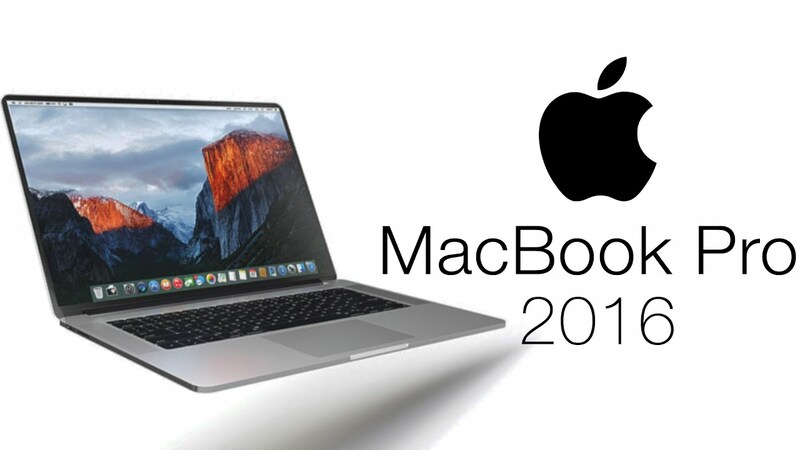 And since the last retina MacBook Pro (rMBP) was released in October of 2012, you start to get a feeling behind why many were looking forward to the October 2016 MacBook launch event. The previous generation MBP (including the one I use right now for our website and producing our podcast) is a workhorse, and sports not fewer than 6 different connection inputs (standard USB, Thunderbolt, 3.5mm headphone jack, HDMI, SD card, and the charging MagSafe connection) which gives the user a large amount of flexibility with the types and kinds of peripherals we all need to use every day. USB thumb drives, external hard drives and display monitors, headphones of all kinds, SD cards from digital cameras, and even USB microphones – the previous version of the rMBP can handle all of these without breaking a sweat. As mentioned above, many different kinds of professionals rely on different media to get their routine business done every day and the MacBook Pro can handle all of it (or the vast majority of it anyway) The current, newest generation of rMBP marks a new vision for Apple – and does so by ditching the flexibility of the past in favor of Apple’s vision of the future – in much the same way the MacBook does. By embracing the ubiquity of the USB-Type C standard for connectivity and charging capabilities. The new MacBook Pro is thinner, lighter, sports a much brighter retina display, and some models even feature the “Touch Bar” which allows people to interact with their MBP in the same way one might the touch interface on their iPhone or the Apple Watch. All of which sound like great things at first blush. When you dig beneath the surface is when the common complaints of the “internet community” come to the forefront. The new rMBP does not contain the most recent version of Intel’s processors (the so-called Kaby Lake CPU) which many point to as a flaw. The amount of memory is capped at 16GB, which Apple claims is to optimize battery life, and many folks who work with network and code will claim is insufficient for their needs. People who used to rely on the SD card slot to transfer photos from their digital cameras are up in arms about it’s removal in favor of 2 or 4 USB-Type C ports on the new MBP. As with many newly released pieces of technology, there are flaws to be overhyped and nits to be picked. And add in of course that Apple has famously ditched what it considers old or legacy types of technology (the floppy disk and the headphone jack are the most popular examples) in favor of the “latest and greatest.” But there is a difference between complaints from the “internet community” and leaving behind a large number of people who are dependent on these legacy technologies to run their shops. The standard for digital photography is still the SD card medium, from DSLRs to your average point and shoot digital camera most of us have in our kitchen junk drawer. Thuderbolt connected displays will eventually be produced using the USB-Type C connection, but you must upgrade that when you decide to upgrade to the newest MacBook Pro as well. Any USB stick or thumb drives you currently use (or any external hard drives that use a USB connection) will need to be replaced/transferred/otherwise upgraded too. You can always purchase adaptors for many of these peripherals, but the fact that you must do so with your new purchase is irritating at best and a downright inconvenience at worst. Consider too that while Apple considers the headphone jack a non-essential piece of equipment for their iPhone, they did consider it important enough to include in the newest version of the MBP. This same MacBook Pro will not connect to your iPhone however, because the Lightning cable for your iPhone will still require an…additional adaptor. Confused? I was too. And I’m not alone in my confusion. 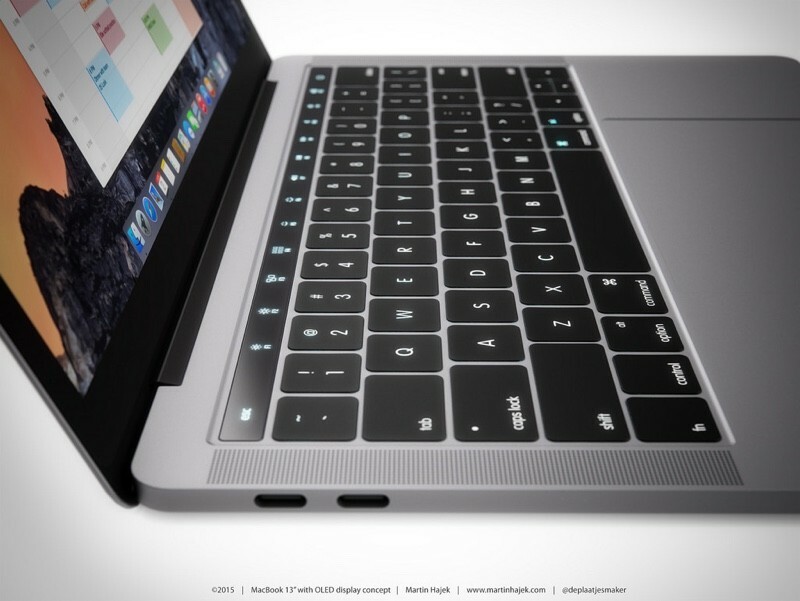 Apple clearly has a vision of the future they are trying to foster by producing their new MacBook Pro laptop machines. 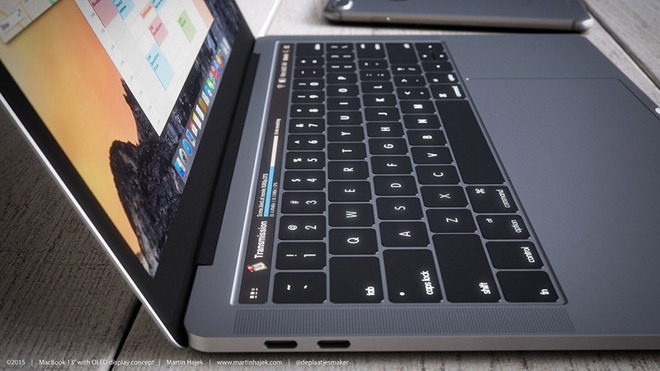 They adapted many of the new technologies from their MacBook line (including the USB-Type C and redesigned keyboard) for their MacBook Pro line. They included a feature in the Touch Bar that might be considered innovative, if not particularly useful yet. The problem with the future is that its uncomfortable in the present, as people are slow (and loathe) to change, especially when cost is involved. And yes…the new MacBook Pros come at a cost. The 13″ MBP with the new Touch Bar feature has a base model that starts at $1,799.00. This doesn’t maximize either memory or processor options, which will set you back $2,299.00 if you chose to upgrade. If you want to step up to the 15″ MBP, you’re looking at $2,399.00 for the base model. Those prices are enough to make anyone take notice and ask themselves if they really need a MacBook. There are other, more inexpensive options in the Windows PC world – just not this one: its cool like a MacBook but its even more expensive. Apple’s vision of the future may be here…but all it feels like in the present is an expensive laptop that needs even more money spent on it to make it truly useful. If that’s really the case, maybe Apple should rub their eyes and check their vision again. Tomorrow is great, but today is where we all live. 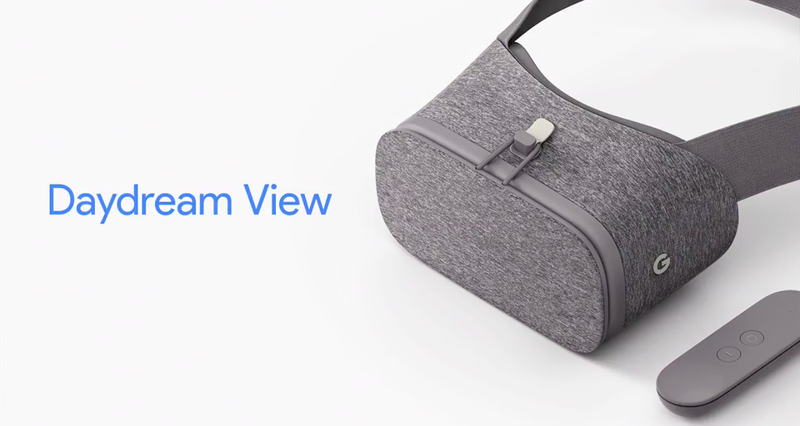 Coming up next: the Daydream View VR headset, a demo of which can already be seen in most Verizon stores near the Pixel and Pixel XL displays. It’s a comfy looking cotton wrapped pair of goggles that when used with a Pixel (or other Daydream compatible smart phone) will allegedly transport you to far away places, allow you a more immersive movie experience, and also play more realistic games. I believe it should be in stores starting Thursday. Can Apple’s Magic Touch Bar save their falling profits? Apple’s sales and profits fell for the first time since 2003, and have declined for 3 consecutive quarters. The new MacBook Pros have been released and while they do have a newly refreshed look, the biggest change is the inclusion of what Apple has called the “Touch Bar” – a touchpad interface that replaces the function key row and will change contextually depending on the app being currently used. The new Touch Bar and the inclusion of only USB-C connection ports is exactly the kind of innovation that Apple has been known for in the past. There are many different kinds of applications that can be used with the Touch Bar, but for right now its a bit limited. As time passes, this is the kind of new feature that could become ubiquitous to all laptops. Or, it could all not really matter because all of the new MacBook Pros have a very high price tag and even real professionals might be a bit leery of early adoption of the new USB-C future that Apple seems to want to make the new now. Apparently it’s no longer a question of “if” we will have autonomous cars…only “when.” Elon Musk has gone on record saying that the hardware needed for autopilot has been included in every Tesla since 2014…and the cars are only awaiting the proper software. And the software, even when its supposedly ready, won’t go live right away (not only because of government regulation) but because Tesla Motors wants to collect data on its potential success and failure rate by running in a “shadow mode” that will in essence act like a commercial airlines “black box recorder” and capture data both before and after accidents. The information transmitted to Tesla would confirm or deny if the autopilot would have been able to see and avoid an accident that the driver couldn’t have. And while this sounds great and all, what is really being said here is that Telsa and Elon Musk are willing to let people get into accidents (potentially fatal ones) and then use that data to say “see, we could be saving lives but the government won’t let us!” I’m not sure of what the full moral implications are here, but while our future certainly includes self-driving cars, what has to happen to get us there is something that a lot of folks are probably going to have a problem with. So there you have it – this month’s Silicon Theories. If you have any topics you’d like to see discussed on future special features, hit us up at silicontheory@gmail.com – thanks for reading!